Thread Check Inc. offers a complete line of standard and special General Purpose Acme Go/No Go Thread Plug Gages per ASME B1.5 ‐ 1997. Acme Thread Plug Gages are used to gage internal threaded product. 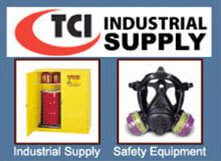 Acme Thread Plug Gages are priced on request. The following Acme thread list of diameters and associated pitches are recommended as preferred. 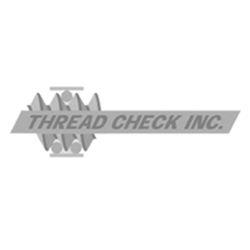 The Acme threads below have been specifically selected to meet requirements with the least number of items in order to keep to a minimum the inventory of gages and tooling. Other size combinations including multiple start Acme threads, centralizing acme threads, and diameters over 5.0 inches can be priced on request. Acme General Purpose threads have 3 classes of fit ‐ 2G, 3G, and 4G. Centralizing Acme threads have classes of fit designated as 2C, 3C, and 4C. Acme threads feature a 29 degree angle of thread which is the angle between the sides of the thread measured in an axial plane. 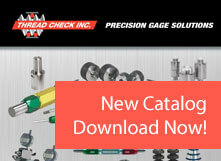 All Acme Thread Plug Gage lengths and blank standards are per ASME B47.1. The gaging system specified in ASME B1.3M for 60 degree threads is applicable for 29 degree Acme threads except for some gage requirements. .2500-16-TPG-ACME-2G-NoGo .2500-16 ACME 2G No Go Thread Plug Gage 0.25 16 N/A .2293"
.2500-16-TPG-ACME-2G-Set .2500-16 ACME 2G Go No Go Thread Plug Gage Set 0.25 16 .2188" .2293"
.2500-16-TPG-ACME-3G-NoGo .2500-16 ACME 3G No Go Thread Plug Gage 0.25 16 N/A .2237"
.2500-16-TPG-ACME-3G-Set .2500-16 ACME 3G Go No Go Thread Plug Gage Set 0.25 16 .2188" .2237"
.2500-16-TPG-ACME-4G-NoGo .2500-16 ACME 4G No Go Thread Plug Gage 0.25 16 N/A .2223"
.2500-16-TPG-ACME-4G-Set .2500-16 ACME 4G Go No Go Thread Plug Gage Set 0.25 16 .2188" .2223"
.3125-14-TPG-ACME-2G-NoGo .3125-14 ACME 2G No Go Thread Plug Gage 0.3125 14 N/A .2882"
.3125-14-TPG-ACME-2G-Set .3125-14 ACME 2G Go No Go Thread Plug Gage Set 0.3125 14 .2768" .2882"
.3125-14-TPG-ACME-3G-NoGo .3125-14 ACME 3G No Go Thread Plug Gage 0.3125 14 N/A .2821"
.3125-14-TPG-ACME-3G-Set .3125-14 ACME 3G Go No Go Thread Plug Gage Set 0.3125 14 .2768" .2821"
.3125-14-TPG-ACME-4G-Set .3125-14 ACME 4G Go No Go Thread Plug Gage Set 0.3125 14 .2768" .2806"
.3750-12-TPG-ACME-2G-NoGo .3750-12 ACME 2G No Go Thread Plug Gage 0.375 12 N/A .3456"
.3750-12-TPG-ACME-2G-Set .3750-12 ACME 2G Go No Go Thread Plug Gage Set 0.375 12 .3333" .3456"
.3750-12-TPG-ACME-3G-NoGo .3750-12 ACME 3G No Go Thread Plug Gage 0.375 12 N/A .3391"
.3750-12-TPG-ACME-3G-Set .3750-12 ACME 3G Go No Go Thread Plug Gage Set 0.375 12 .3333" .3391"
.3750-12-TPG-ACME-4G-NoGo .3750-12 ACME 4G No Go Thread Plug Gage 0.375 12 N/A .3374"
.3750-12-TPG-ACME-4G-Set .3750-12 ACME 4G Go No Go Thread Plug Gage Set 0.375 12 .3333" .3374"
.4375-12-TPG-ACME-2G-NoGo .4375-12 ACME 2G No Go Thread Plug Gage 0.4375 12 N/A .4084"
.4375-12-TPG-ACME-2G-Set .4375-12 ACME 2G Go No Go Thread Plug Gage Set 0.4375 12 .3958" .4084"
.4375-12-TPG-ACME-3G-NoGo .4375-12 ACME 3G No Go Thread Plug Gage 0.4375 12 N/A .4017"